We're sorry to hear that you experience was inconsistent with the quality provided at Homestead Hills. Our dining program is industry-leading and we've implemented a lot of ways to ensure that your experience eating with us is excellent. All orders are freshly prepared by our Executive Chef and Culinary staff and we're happy to customize your order for you, based on preference. We understand that everyone has a different palate - what may taste bland to one person, may be different to someone else which is why we're happy to hear your feedback and ensure your meal is properly prepared. Time is of the essence in these matters and we encourage you to report any issues within 24 hours of dining. Additionally, we have dining comment cards available after your meal to provide feedback - that feedback is shared directly with our Executive Chef and Director of Dining. We also have a Member committee which meets regularly with our dining staff to speak about the dining experience, meals, nutrition and more. If you have any specific concerns you'd like to address, please feel free to reach out to our Executive Director - we're happy to help. Thank You! My wife moved into Homestead Hills. It is excellent, and there's absolutely no problem. It's very well taken care of. The staff is good, the nursing staff is sufficient, and the food is good, too. The dining area is very nice. There are set tables for four. They have entertainers and small programs. They tend to decorate for the particular season. They have crafts, TV, and singing. Overall, it has been very favorable. I think I'm definitely getting my money's worth. Hi, Joe! 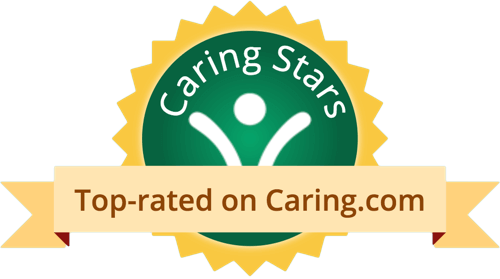 Thank you for taking the time to award our community with 5-Stars! We’re glad to hear that your wife has been enjoying our programs, our Staff work hard to ensure that our dining and social programs are excellent and always evolving for all of our Members! Thank you again for your excellent rating and we look forward to seeing you soon! My mother was a resident in the Memory Care neighborhood. When they first opened this section - it was wonderful. The entire staff was very attentive and went out of their way to ensure that our mother was happy and taken care of from the kitchen staff, activity director, caregivers even the administration. BUT then they changed administration and directors and it went down hill from there. They either got rid of the top performing aids, caregivers, etc. or they were fired because "they cared too much". Had several meetings with administrators and it was the worst display of concern for a patient that I ever saw. After several falls - they always had mother cleaned up without a drop of blood or anything on her before I got there. I was even told that staff was told to clean up the mess before the family gets here. If it hadnt been for 1-2 caregivers that remained we would have moved her. And yes we were told in a meeting "if you dont like it here you can move her to another facility". We eventually moved mother to Hospice where she passed away after another fall because she wasnt supervised. This is a beautiful facility and fairly new but would not recommend until they change the Executives, Directors and Administration there. Thank you for taking the time to voice your concerns about your mother’s time at Homestead Hills. Our Executive Director and Home Office have been made aware of your comments. The items included in your review are inconsistent with the standard of service provided at Homestead Hills. We’d like to invite you to contact our Executive Director directly if you have any additional concerns. Thank You. My mom is in the assisted living of Homestead Hills, and I am not overly impressed with them. The staff are very unconcerned. They don’t really feel like it’s their job to do too much for the residents. If there's a health problem, they don’t do anything about it nor alert anyone to it. The food has not been good compared their independent living area. The room that she has is small but OK. Thank you for your review. We take complaints and concerns regarding our staff and services very seriously. Our Executive Director, Healthcare Administrator and Home Office Team have been made aware of your concerns and will promptly investigate these matters. Our goal is to provide excellent care in a stimulating and supportive environment- one that encourages you to visit and where you can focus on your mom first. Homestead Hills seemed to be a very nice and adequate facility. The staff was very nice. The rooms and apartments were quite nice and adequate for residency. We had lunch there, and the food was fine. The dining area was clean. Residents seemed to be content. Homestead Hills was having a grand opening for a new wing when we went and visited there. The staff was really friendly. Everything was really pretty. It was a continuing care facility, and I thought they had a lot going on. We just had a nice time. We only saw the apartments in the new wing. They were very spacious. They had a nice view outside. They were complete with washer and dryer in the laundry room. When we were there, we had a tour of the building, and of course, they had a speaker because it was their grand opening. From the looks of their little brochure and everything, they had a lot of activities, but we were there for special occasions. We would go back and take another look, but we really liked it. I would recommend it. Everybody that we talked to was just really happy with it. Thank you for the review and for attending our Grand Opening of The Forsyth at Homestead Hills in Winston Salem. In addition to the spacious 1 and 2 bedroom Villa Apartments you visited, we also offer beautiful 2 and 3 bedroom Cottage Homes. You are correct about the activities, our Social Director works extremely hard to provide a jam-packed calendar of events to make sure there is always something happening for everyone's taste and interest. Feel free to come back anytime for another visit. Give us a call at 336.659.0708 and we'll make sure you see the entire campus this time and enjoy all of our luxury amenities. I found the room that I could readily move in to at Homestead Hills, but it won't be there by the time I'm ready to go because it was in a new wing and they had all except two already sold. It was bigger, and the buy-in was very high, but it is an equity that you get back if you don't stay a long time. I knew somebody who used to live there. The room that I really liked had a large living room, a bedroom, a nice kitchen, and a nice bath. I could've moved into that, and it wouldn't bother me at all to be moving from where I am. They had a lot of activities, and they take trips. Homestead Hills seems very nice and quite pleasant. I go to a water exercise class there, so I’m familiar with their health facility, and it’s very nice. I have visited someone who is in nursing care there; I thought it looked OK and seemed quite adequate, although the friend didn’t seem to like it very much. The location seems good. It’s one of those places that have a country club feel to it. The grounds were well-maintained, and it seemed to have all sorts of resources available on campus. In the past I could only give 5 stars to this place Now there is a new administration. They do not return phone calls, they have cut back on the staff, and now, tomorrow I will address possible neglect of my mother who is in the memory care unit with a weeping sore on her abdomen. It makes me sick! At Homestead Hills, we take concerns regarding our members, employees and community very seriously. Our number one goal every day is to provide excellent care in a stimulating and caring environment. Both our Healthcare Administrator and Executive Director have been made aware of your concerns and will take the necessary actions to respond accordingly. We appreciate you taking the time to address your concerns with a member of our community, and we hope you will once again be able to rate us as a 5 star community as you have in the past. The staff at Homestead Hills Retirement is great and very attentive. Mother seems very happy. They have a pool. They take her in once or twice a week for exercises. They have outings, card games and bingo. Every day an activity so she has been happy. There’s socialization that she’s getting, but she’s diabetic so they keep a really close eye on her blood sugars. I like the care that she gets and the cleanliness of it. I went to Homestead Hills years ago. It was very well kept. When I looked at it before, it was also pretty new. It looked like a new construction. The facilities there were very nice. They had wide variety of residents there, e.g., from people who are still very independent to obviously people who need a lot of help. They had a variety of floor plans and even cottages and separate houses. It was pricey but it's not the most expensive in town. Homestead Hills Retirement is all incorporated. It's got everything inclusive. Assisted living if you need it, private rooms, and dining rooms. I mean, it's just one monthly payment and everything is paid. The staff is wonderful. They're a great staff. I've moved my dad in. He has a two bedroom house that's about 1200 sq. ft. It's very clean because they clean it every week and that's included in their services. And, the outside property is maintained by the outside landscaping firms, so everybody's fine. We moved mom at Homestead Hills. The facility is nice. She is very happy there. Her room is nice and she has a private bath, so it's good. The staff is fine. They have a pretty good variety of food and its okay. They have a lot of activities, a lot of things for the residents to do like games, physical activities, and opportunities to interact with others. Everybody has been very nice to us and we are pretty happy with the situation. The time that we moved her there, they were most accommodating for her and her dog. My aunt has her own apartment. Sometimes, I don't like the rules, but I like working with them. They have fairly good food, but I think they over charge because they cost too much. There are portions that are too large. My aunt had left-overs and I asked them to cut down on certain portions and they didn't. They have lots of activities, the problem is that I can't make my aunt go to do them. My great-grandmother stayed at Homestead Hill before her passing. She was 85+ years old and couldn't live on her own anymore. She was diagnosed with Alzheimer's and needed extra care that none of her children or grand children could provide on the regular. Homestead in my opinion took very great care of her. The staff was always friendly and knowledgeable and treated my great grandmother with respect. They checked on her multiple times of day, so much so that she kind of complained about it. They also made sure to give her, her medication whenever it was required. They were also great about giving her a sense of independence by allowing her to walk around the facility and partake in hobbies like knitting with others who were staying at the facility. Even in her time before her passing they took extremely good care of her and made sure to update the family at least twice a week on her health and on the day of her passing knew of all the proper procedures and ways to handle the body. The only things I disliked happened to be the smell of old perfume, but it's to be expected. Homestead Hills has done a good job in taking care of their patients. The rooms appeared to be clean and well-kept. Their assisted living unit has been turned over; it is above any average that you could ever find. I wouldn’t hesitate to recommend that facility. Thank you for taking the time to leave a review. Our goal is for our members across all neighborhoods to experience the Weller Life. High quality care, services, activities and surroundings all contribute to that lifestyle. I came with a friend as she was looking for a retirement community. I ended up liking it and was ready to downsize from my big house. I called my children to come tour and we all decided that this was the right decision. Everybody was so friendly and helpful. When we asked questions, we always got the answers we needed. That was very important in helping me realize that this was the place for me. I quite enjoy partaking in the social activities. The Social Director does a great job putting events and daily activities together. Even though the community offers dining, I still like to cook. I still enjoy coming down for dinner for the people. After suffering a stroke, the on-site rehab personnel came to my apartment for therapy. I am among friends here and with people every day. When I was in my house, I was by myself quite a bit. The sense of community is simply amazing. My friends and neighbors truly care about me and go out of their way to help me. I recommend Homestead easily. It has everything you want and need. I will have lived at Homestead 6 years this coming November. I have been volunteering at the Hospice which is close by for 11 years. Finding Homestead was honestly a whim. I noticed it while driving to and from the Hospice. Back then, there was no gate or clubhouse. I thought I would just drive in and look. The lifestyle advisor took me on a tour on her golf cart. I had been in my house for 40 years. My husband had designed it. I told the kids that I was looking. I took a while to decide and the lifestyle advisor could see my unease and recommended that I look into the clubhouse and apartments that were going to be built. I still didn’t know if I wanted an apartment. My daughter actually took the time to go over finances and helped me see that I could afford the apartment. My kids actually met with the Lifestyle Advisor and toured and thought it was perfect for me. I try to exercise Monday, Wednesday and Friday. I get in the pool Tuesday and Thursday. I still drive but it is nice to know that there is transportation if I need it. I feel very safe here with the security and gates. The flex dollars is a great program. I am able to use the dollars to invite my Sunday School class or whole family including great grandkids to eat. I have been fortunate to be able to use the Genesis Therapy which is onsite. I had trouble walking and they have been wonderful. I feel as though my life has changed for the better since being here. The location of Homestead is perfect. There are many doctors’ offices, the mall, and the interstate close by. The fees may seem high at first glance but they cover just about everything. My husband and I came to Homestead Hills in August of 2010. The day that we came to finalize our plans with the Lifestyle Advisor, my husband got very ill. On that day, he was adamant that we drive down despite becoming suddenly ill however when we were in Wilkes County, he took a turn and had to be taken to their hospital. He was then taken by critical care ambulatory services to Winston-Salem. Homestead let me stay in their guest apartment while he was in the hospital. I took him home on Tuesday and moved in at Homestead the following Saturday. I had heard about Homestead Hills through a friend of a friend that previous June. My husband and I were looking to get out of the mountains and closer to medical facilities as our health was not the best. I looked at many communities in Winston and Greensboro. As they allowed us closer proximity to family. Honestly, this was the only place that had a washer and dryer in the apartment and a full size kitchens which is rare. My husband was in rehab with Genesis when he first came. I was involved with the wellness classes as I still am. The wellness program is excellent. I do the early morning class and Zumba on a regular basis. I also like partaking in the special classes. I quite enjoy the cooking demonstrations, trips, eating out with the other members, and activities. We have a church service on Sunday morning at the community which was wonderful for my husband. The different activities are so varied that they can appeal to anyone. You can find something to do just about any time of day and any day of the week. It is impossible to do everything. The drivers here are incredible. They were able to easily help my husband who was in a wheelchair, in and out of the vehicle and push him into doctors’ offices. Sadly my husband passed away, but I have had tremendous support from staff and friends here. I am sure that I would not have had that before living in this tight of a community. The security here is such an added comfort. No matter what time there is always security. This really came in handy when my husband was in and out of the hospital. The food here has improved since the arrival of our new Director of Dining Services. I advise anyone looking to go in and get all the information. Speaking with the staff is very helpful. We moved to Homestead Hills around Thanksgiving this past year. My wife and I felt that we were in the place where we needed assistance. Our children live locally and our daughter who is a nurse at Forsyth Hospital recommended this place. My wife also was instrumental in finding the right place for us. They actually did the research and decided on Homestead for us. I recently had surgery and was actually a part of their skilled nursing program which offers rehab services. The rehab and skilled care was very good. The staff was wonderful. I have since been released back to my apartment villa. The staff now comes twice a day to my apartment to continue the rehab. My wife and I enjoy the dining here. I think that she probably enjoys not having to cook all the time. While we were sad to leave our home that was built with many memories, we quite enjoy being here. For anyone looking who needs added assistance, I would advise to really look at Homestead Hills. I think Homestead Hills is a very nice continuing care facility. I met the lady who was the marketing resource, and I also met some of the residents. Every one of them at breakfast was very positive in their description of the family there, and they basically were encouraging me to continue looking into it. Cindy was not only friendly, but she provided a lot of information about living there that I would not have asked for, and we talked about the financial situation that one would have to be comfortable living at Homestead Hills. So we got into things that I would have not initiated, and I appreciated that. They have three standing homes and apartment units, so she was able to show me the home that was something like ice-bright I would want and she showed me a comparable unit in the apartment building, so I had an opportunity to see something of everything. As we toured I was told about many kind of activities that were part of the lifestyle of Homestead Hills, and I was impressed with the array of the things that she told me about. The thing that stuck in my mind was the wellness activities and such and the opportunities to just keep yourself physically fit. That turns out to be something important to me who travels to a fitness center now, but the fact that there were a lot of programs and equipment and such that encourage the residents to keep moving was encouraging to me. They also talked of some social things that were there too and about the opportunities for residents to mingle with each other and thus be part of one another's life. Actually, in Illinois I am a part-time employee of a continuing care facility -- something that is run by a church based organization and is a nice facility -- so I am kind of always comparing what that facility is like relative to Homestead Hills, and I would tell you that it compares favorably across the board at less of a cost. Their cultures compare favorably with each other. Homestead Hills seemed to be OK. My mom went downhill really fast after we moved her, so they had to move her from the Alzheimer's unit over to nursing care. The doctor there was very good, so they really made a big improvement with her health. So far, they're doing OK. There aren't many amenities and they're basic, but it's fine. The care that my mother is getting seems to be fine. Homestead Hills is a preferred retirement community in the Winston-Salem, NC area. Located on 37 acres, Homestead Hills offers independent living cottages and apartments plus assisted living with rehabilitation services on site. With a focus on wellness, Homestead Hills enjoys a research partnership with Wake Forest University and was a recipient of the 2011 Best of the Best Award for wellness programming from the Assisted Living Federation of America. Homestead Hills is a community for people who wish to live a longer, healthier and happier life. Featuring a community clubhouse that includes dining services, pub, Internet cafe, game and activity rooms, multi-media center plus a wellness center with heated therapy pool and exercise equipment, Homestead Hills offers more social and fun opportunities than one could receive in their current house and at an affordable price. With Homestead Hills taking care of all the house and lawn upkeep, the paying of bills, the cooking of meals, and the planning and set up of parties and events, Members get to spend more time enjoying their family, friends and interests. Experience Homestead Hills and experience a maintenance-free lifestyle in a fun and exciting gated community. Living here could indeed impact your life by helping you live a longer, healthier and happier life. What should caregivers and potential residents know about Homestead Hills?